Sometimes, I notice myself straining against or resisting the way other people may be doing things or handling something. Different strengths and weaknesses: I’m trying to become more aware that we each act out of our own individual strengths and weaknesses….and each one of us is different in those combinations. And hence, different people may have different approaches in choices, actions and interactions. Different life experiences: In addition, each one of us may have very different “life histories”…both the positives experiences and the negative experiences…and those life experiences will significantly affect how people approach situations. 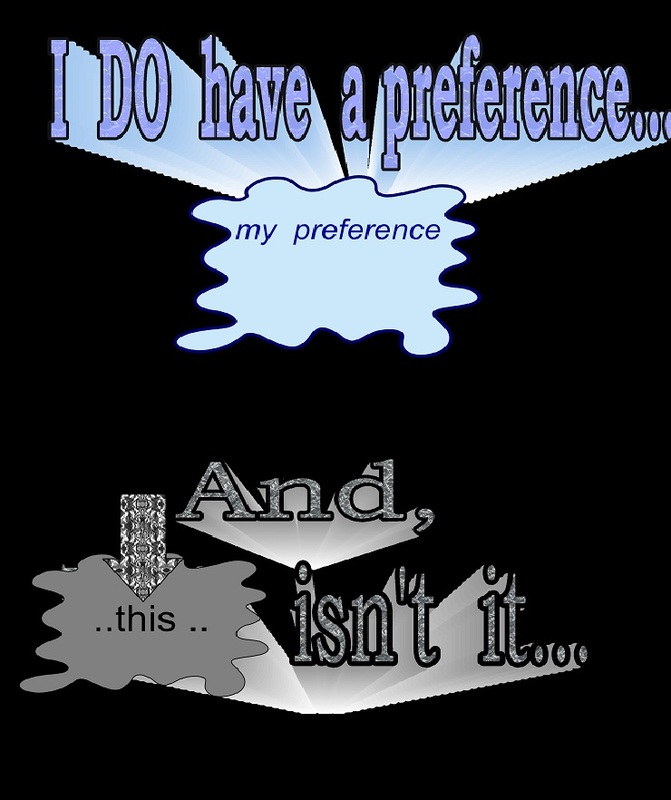 and then to realize that I have my very own preference, which may not be the same as another person’s preference. 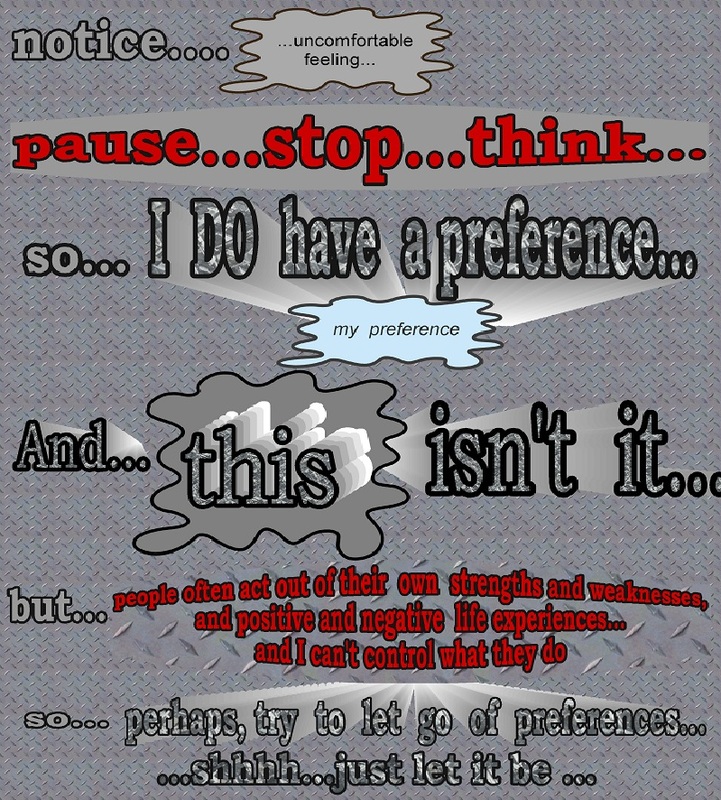 And for me to learn to understand that the other person’s preference may make complete sense, given their own factors and background…. and learn to accept that sometimes, there may be nothing I can do to change or control a situation. Just possibly?? 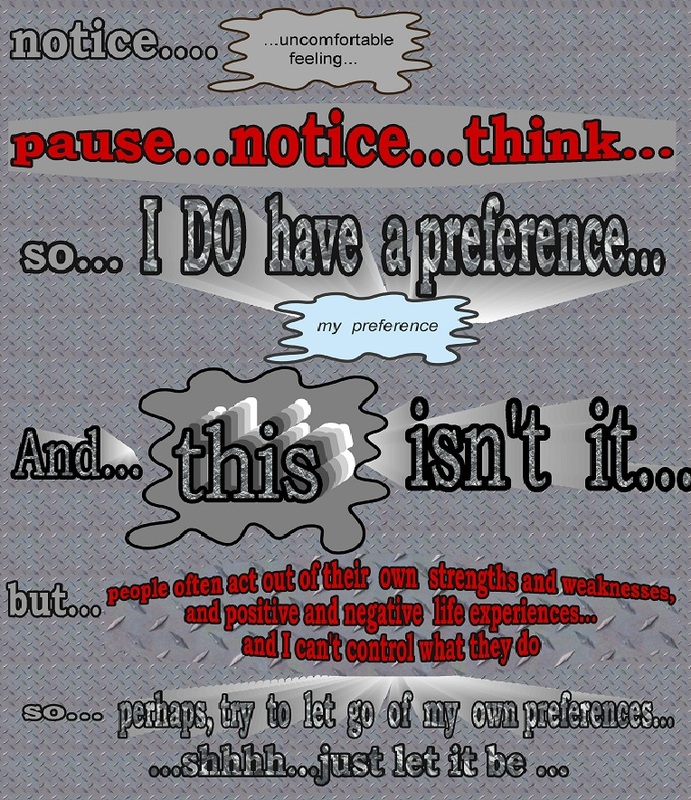 : It also might be remotely possible that my own preference isn’t all that great a way of doing things either… : ) …but of course, I usually don’t consider that option quite as easily. 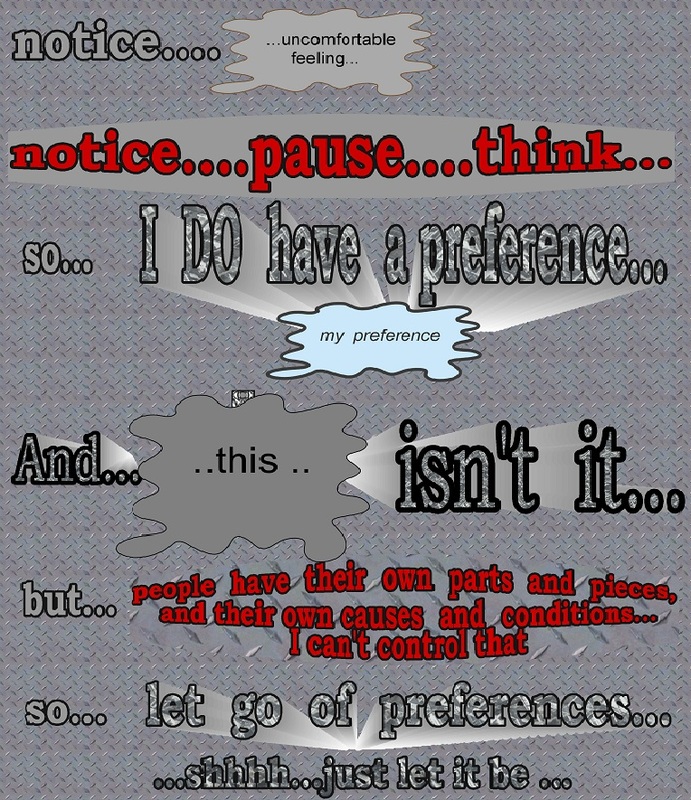 So…this is a system that I came up with to work my way through this type of challenge of conflicting “preferences”. “strengths and weaknesses” is similar to what is sometimes called “parts and pieces”. And “past history and the demands of the present moment” are similar to what is sometimes called “causes and conditions”. And the background of the image page, above, is similar to the effect of these factors: designs that are stamped into metal…like imprints, fixed and often difficult to change. it’s a bit like the Buddha said about holding onto a hot coal..it hurts me more than others. But if I throw that reaction out towards others, it does damage to them, too. 1 Response to Letting go of preferences..